We’re excited to announce the release of the stunning new music video for ‘Of All the Places Been (feat. 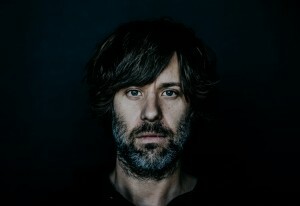 Jason Lytle)’ by American dream-pop troubadour Kramies. The music video for track, taken from his new EP Of All The Places Been & Everything The End, has just been premiered at Billboard Magazine no less! The video is directed by Anya Klausner with animation by Nogland Studios. Created in collaboration with Jason Lytle (Grandaddy), Todd Tobias (Guided by Voices) and Jerry Becker (Train), Kramies’ epic new EP, “Of All The Places Been & Everything The End”, transports the listener through an enchanted forest of the imagination. Profoundly coloured by Kramies’ time staying at an ancient castle in Ireland, the music is steeped in fables, myths and eerie reflections, resulting in his most vividly realised release to date. Kramies music is available for licensing across film, tv, web and beyond. Contact us at Hidden Shoal for more details.